After the big finale in the skatepark, visitors of the 19th edition of Pannonian Challenge moved to Vega for an evening programme. Urban & 4 welcomed the crowd and provided them with a good time. M.O.R.T. took over the stage and with a light blues rhythm amused the audience. People danced until the early in the morning with Dj Flegma who was the last one to perform. This year our festival as one of the best ones in Europe will provide the prize of 13 000€ to the best BMX riders. The money is definitely a big motivation for our riders today, but the best motivation is of course the audience which is impatient to see them perform. This year we will get the chance to see only the best riders, such as: FISE world winer Daniel Dhers, young Marin Ranteš from Varaždin, Kostya Andreev, Irek Rizaev, Jack Clark, Michael Berran and many other big names in this extreme sport. Our judges Bart de Jong, Hank Cleworth and Luka Kovač will decide who was the best rider today. Big finale in pro BMX category starts at 6 p.m! 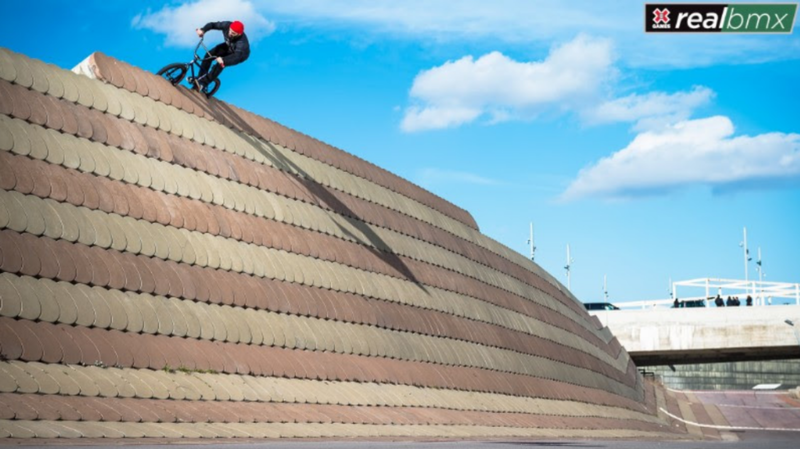 The fourth installment in the Real Series video competition, Real BMX launched today, with six never-before-seen BMX video parts debuting on XGames.com. A full World of X Games episode will air June 9 on ABC, featuring all six video parts, behind-the-scenes footage and athlete interviews. The videos are judged by a panel of industry experts, with their selections for which athlete/filmer teams will be awarded X Games gold, silver and bronze medals announced on the ABC broadcast. Cash prizes will be awarded to the medalists. Fans will also have a chance to view and vote for their favorite videos online at XGames.com/RealBMX, with the Fan Favorite winning an additional cash prize. Pannonian Challenge Croatia has announced its best edition yet. BMX CGN 2018 - NO TRANSITION - CELEBRATE BMX! "NO TRANSITION" is the motto and on these two days, the spotlight will be on the fun of the spectacular stunts and tricks as well as the fascinating lightness of the sport. 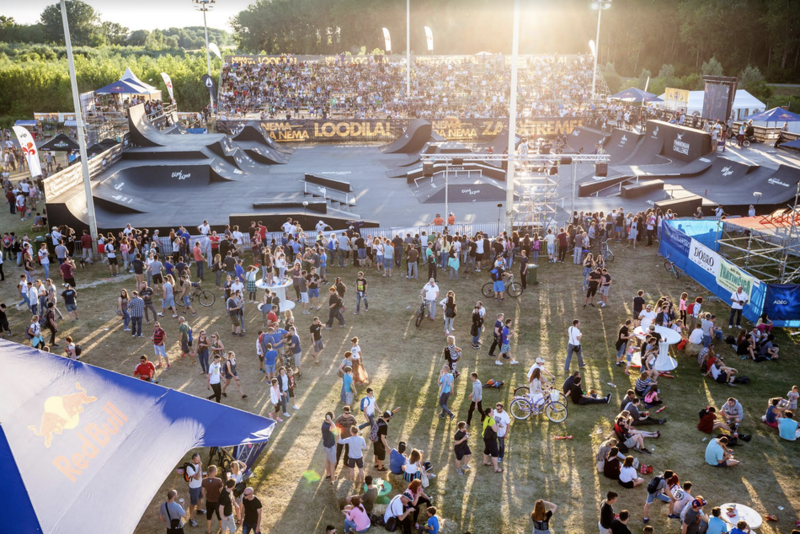 In June, 2018, BMX CGN returns to the two-day event format and in the year before their 35th anniversary, will continue to follow their belief in bringing the sport and the festival back to their roots. 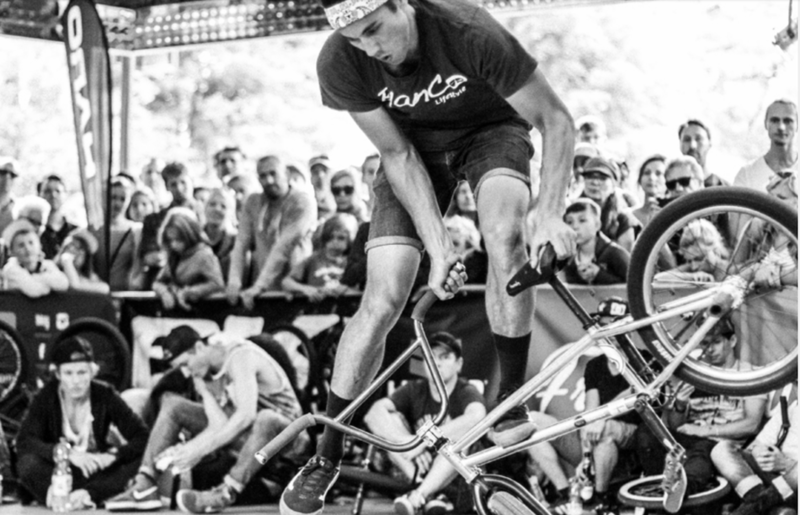 This year the focus will be on the disciplines Street, Flatland and Kickturn Ramp Old School Style, all of which will be taken on by riders in the classes Amateur, Pro and Old Schoolers. Caroline Buchanan sat silently in the passenger seat next to her fiance, struggling to breathe and hitting the scariest point in her life as she turned to her childhood friend and said.. "Im not ready to die" On the outside she was calm. Silent and focused - just like she is before a BMX race. She stayed like that for 5 hours until she got transferred to the city hospital. On the inside her body was a mess. A broken nose, broken sternum, two collapsed lungs and dangerous bleeding around her heart. "I was running on adrenaline. About 30 minutes outside of Canberra the ambulance guy called the hospital and he had a shaky, nervous voice," Buchanan said. "If you're a paramedic you've seen a lot of things and they handle themselves so well. I thought if he's nervous ... that's when I knew it was life-threatening." The two-time Olympian and eight-time world champion was at a friend's farm when an off-road buggy rolled and caused the injuries. The driver was OK but Buchanan was in debilitating pain and struggling to breathe. She knew something was seriously wrong and that's when she started to fight. Woodward Copper announced its lineup of visiting pros for BMX camps this summer, including Mat Olson and Tammy McCarley. Being no stranger to Colorado’s favored summer camp, Mat Olson will coach his third consecutive year, bringing his positive, infectious energy to each BMX session. In addition to Olson, fellow Pusher BMX rider Tammy McCarley will also join the lineup of pros for his Woodward Copper debut during session three. From The Barn to the outdoor miniramp, Olson and McCarley will work with campers on trick progression and motivate the next generation of riders to expand their arsenal of tricks. Pro Freestyle on the beach this weekend. UCI C1 Park event. The first ever UCI Category 1 event will happen this weekend on Scheveningen Beach in The Hague, Netherlands. 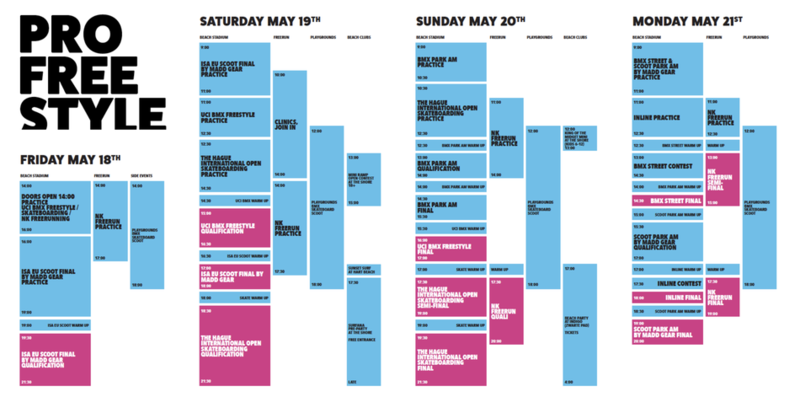 The Park event under the UCI/KNWU umbrella kicks off with Park practice on Friday afternoon 14:00hr - 16:00hr. More practice time on the 040BMXPARK course will be available on Saturday at 11:00hr (till 12:30hr). Don't forget to bring your UCI license if you want to participate in the Elite Men/Elite Women BMX Park class. Qualification will take place on Saturday afternoon at 15:00hr. The finals on Sunday will start at 16:00hr. There is also a full Amateur Park contest on Sunday and a Street contest on Monday (bank holiday).